In an exclusive television interview with ABC7'S Ron Magers, Jim McMahon says fighting pain has been a constant battle since his playing days. 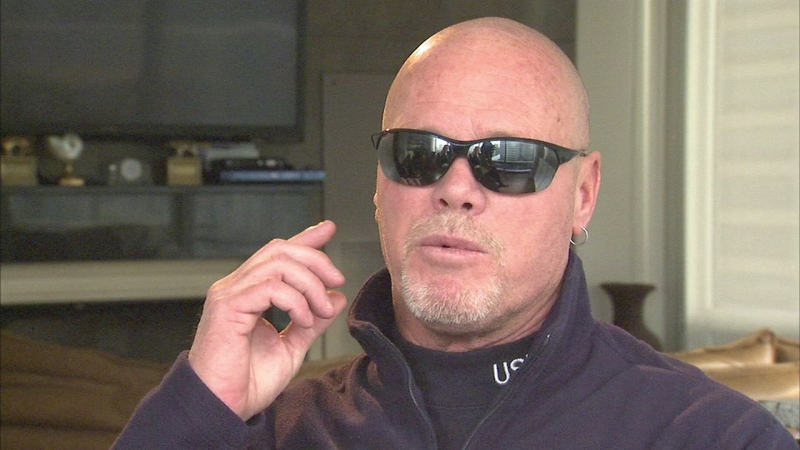 CHICAGO (WLS) -- Bears legend Jim McMahon says medical marijuana got him off a heavy prescription pill habit. "I'm old-fashioned. I like to put it in my pipe and smoke it," McMahon said. Bears legend Jim McMahon says medical marijuana got him off a heavy prescription pill habit. McMahon was in town this week for the 30th anniversary of the 1985 Super Bowl win. In an exclusive television interview with ABC7'S Ron Magers, McMahon says fighting pain has been a constant battle since his playing days. "Back then it was painkillers. I played my whole career on painkillers," he said. "I was using about 100 Percocets a month when I retired and I knew I had to get off that stuff." McMahon played a style of football described as "giving up his body" - a body that now gives him constant pain. "I've had 18 surgeries so pretty much everything on me hurts," he said. McMahon knows that some of his back and neck pain comes from a play against the Packers in 1986: an interception, then Charles Martin slams him to the ground. "My C1 and 2 are twisted 25 degrees from the old Charlie Martin hit. My C6 and 7 are cracked and compressed, so I had a broken neck at some point in my career and nobody told me about it. So I'm lucky to be walking," McMahon said. He had good reasons for the high use of painkillers, but says: "I quit all that cold turkey and I moved out to Arizona and I got my medical marijuana license." McMahon says he not only has found relief, but marijuana is now the only drug he uses to control the pain. "I don't smoke all day long you know. It's usually in the morning. Mornings are rough trying to get up out of bed," he said. "It's been quite a few years so I don't feel it impairs me at all. I can still function, still talk to people, do whatever I got to do." McMahon is prescribed medical marijuana to treat arthritis and chronic pain - conditions that don't qualify for medical marijuana here in Illinois. So he'll stay in Arizona and stay away from prescription painkillers. "It's a lot easier on my body and I can get through the day without a problem. It doesn't have any side effect. You don't get constipated, you don't get woozy and feeling weird. For me, it works," McMahon said. An advisory board is recommending adding the chronic pain McMahon suffers and seven other conditions to the marijuana eligibility list in Illinois. The recommendation is now in the hands of Gov. Bruce Rauner. When asked if he has any regrets about what he put his body through, McMahon said: "I regret trying to play through some of the stuff I did play through but other than that, no. Every one of us would do it all again." McMahon has also been diagnosed with concussion issues that could lead to dementia, but he's found a treatment that he says is giving him relief. Bears legend Jim McMahon speaks about a chiropractic treatment he receives for concussion relief.